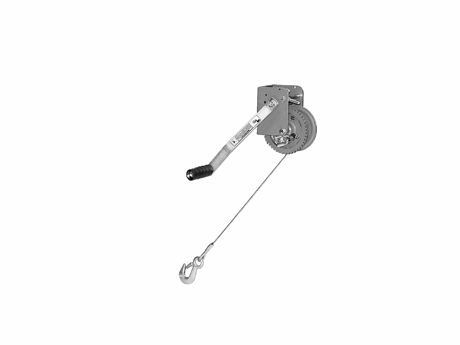 Utility winch, 900 lbs. pull capacity, 5/32” dia. x 25 ft. long cable with hook.